Contact us, if you are in search of a high quality Y Type Strainer! 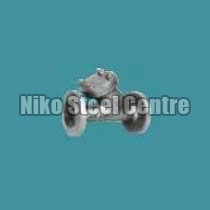 We are a prominent Supplier, Exporter and Stockist of Y Type Strainer based in Maharashtra, India. In order to address urgent and bulk requirements, we maintain a huge lot at our spacious warehouse. One can get them at the modest prices, from us!